Labor warned us a day ago. They confirmed today that they would join the cross benches and vote the Government’s bill down. Externally imposed rate capping is dead as a result. So up go the headlines. Rate capping Dead. No, externally imposed rate capping is dead. The fact of the matter is, the Government’s Rate Oversight Bill is doomed. As I have explained before the Government’s bill was not so much about rate capping as it was about an external body setting a cap on council rates. This is good news for the local government industry. With due respect to ESCOSA, the body earmarked to be the oversee-er, you (the local community) are the best overseer there can be in keeping rates down. 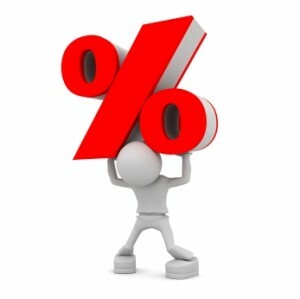 Good news in that the government has never been clear on what how the rates should be capped. We were led to believe by the CPI. By doing so we were told the average rates would come down $ 500.00 . That claim by Minister Knoll was probably the trigger for the bill’s failure. If this were true, with 26,000 rate payers, the City of Unley revenue of some $ 40m would reduce by $ 13m. An extravagant claim by the Government. That Councils are so extravagant they can reduce their rate based revenue by a third. 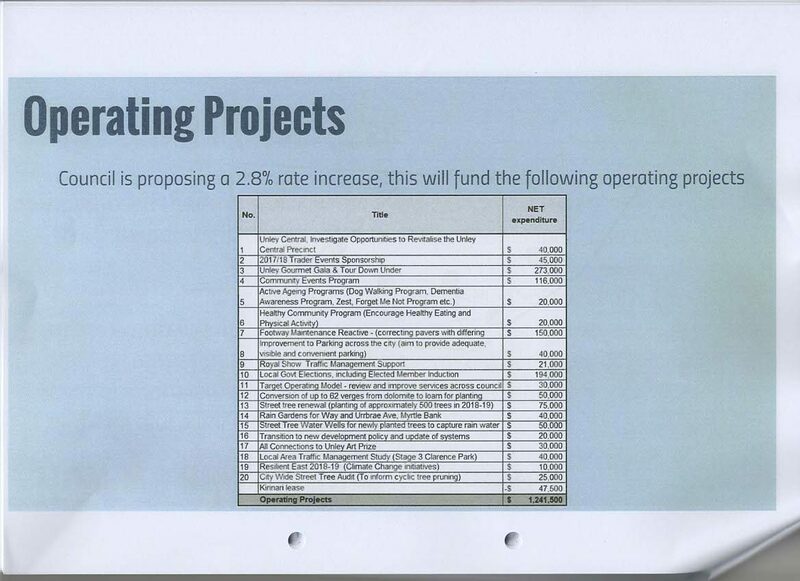 I defy anyone to shave $ 13m of the Unley budget and honestly believe that the Council would survive. The bill is yet to be voted down in the Parliament however. Until the fat lady sings as it were. All that aside, it is comforting to hear that the opposition appears to be heeding the call of our Local Government Association’s assessment of how the sector CAN be reformed. The sector can do with reforming. The Government could do well to jump on board and grab the agenda back. 85% of people agree with rate capping according to the Property Council. Who would have thought? The debate on rate capping continues in the media, with the Property Council again taking the lead. They conducted a survey showing 85% of people agree with rate capping. Oh Really? Who would have thought that? Honestly. You don’t have to be Mandrake to understand that 85% of people agree with rate capping. Who wouldn’t. This of course was a limited and a very simplistic a survey however. The question they should have asked is who is better placed to cap rates? Councils or a third party, namely ESCOSA. The Bill before Parliament is not about rate capping. It is about shifting responsibility for setting rates from Council to a third party, another Government body. Why not make Councils responsible for rate capping. In other words, it can be legislated. Just as other financial ratios Councils have to comply with are legislated. ✔a net financial liabilities ratio. Ratios as we are already required to do under sections 5(1), 6 & & of the Local Government (Financial Management) Regulations 2011. The City of Unley voted against the Government’s Bill. This reads as we are against rate capping. Fact is we are not, as demonstrated by over the last 6 years. We believe that setting your rate first and then cutting your cloth to suit is good policy. Councils are better placed than a third party to do this. Using ESCOSA or other organisation to provide oversight to determine what the rate should be is on the contrary, bad policy. It is bad policy because they do not have a relationship with you. They are also not accountable to you. There is therefore no reason why the regulations could not be altered to achieve the government’s push for rate capping. That is of course assuming their real intention is actually rate capping, not using rate capping as an excuse to control councils. See Saw Margery Daw Jacky shall have a new master. Jacky shall earn but a penny a day. 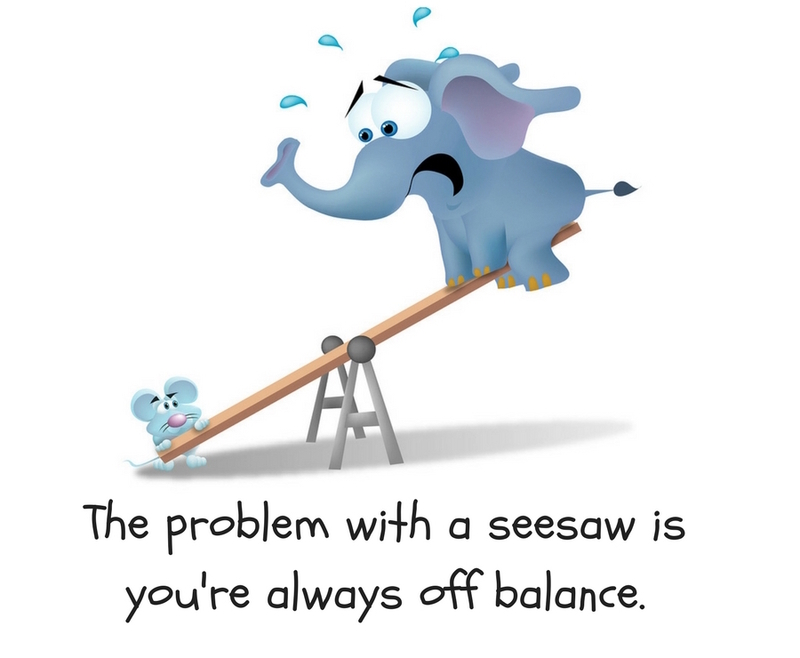 The seesaw is one of the oldest ‘rides’ for children, easily constructed from logs of different sizes. 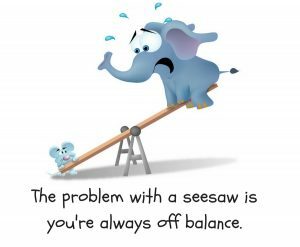 The words of “See Saw Margery Daw” reflect children singing this rhyme to accompany while playing on a see-saw. This children’s nursery rhyme is being played out currently by our leaders. I refer to the rate capping saga that is being played out before us right now. At one end of the see saw we already know is South Australia. At the other end we now find is New South Wales. Amazingly as the South Australian Government seeks to follow the lead of New South Wales and introduce rate capping we see New South Wales potentially going the other way. So. See saw Margery Daw is the game being played. A year after the NSW Government scrapped its council amalgamations policy, the Committee for Sydney has released a report. Would you believe, a report that is calling for the capping of council rates to be scrapped. 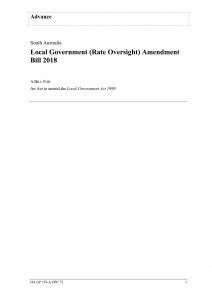 The report, A New Era for Local Government, calls for the end to ‘rate capping’. IPART (their equivalent of ESCOSA) sets the maximum amount NSW councils can collect in general revenue through an annual peg. It describes the annual rate peg as “a blunt instrument, with little economic rationale behind it, and which hinders local institutions on which much of our civic life depends”. It is also calling for the establishment of a Council of Metropolitan Mayors to work alongside the Greater Sydney Commission and the introduction of a new fund to pay for local infrastructure. 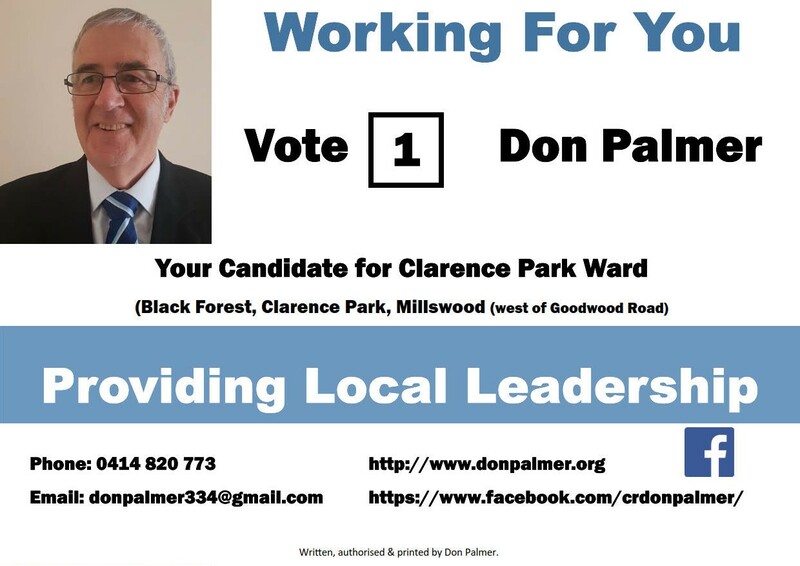 Catch this, a levy on local rates to support local councils generate a pool of funds to expand and improve open space or maintain civic infrastructure, like roads and libraries or support town centre renewal. In other words, to allow Councils to catch up with their need to upgrade infrastructure. Externally imposed Rate Capping I believe to be poor policy. Externally imposed Rate Capping I believe to be poor policy. Poor policy that you will (in time) pay dearly for. I expect that your other representatives will also view it as poor policy. We will need to wait on Monday’s special council meeting to know however. The Rate Oversight Bill being considered by Parliament is aimed at shifting oversight on Council rates. From you to another arm of state government. We are accountable to you. They are not. Do you want a single philosophy (rate capping) decided by a body, not accountable to you, to determine what services are provided you by your local council. We will consider this at Monday night’s special council meeting. In so doing we will not simply vote yes or no. We will consider and make public our reasons for our decision. I for one continue to be concerned that the Bill is bad policy. I say this even though I and Unley support the rationale of setting the rate first and cutting your cloth to suit. Council and its community are surely best placed to provide this oversight. My primary concerns I have shared with you last night. Some of my other concerns, which I am sure we will discuss on Monday night, I put on record below. South Australian Councils receive the lowest per-capita share of state government funding in the country. I ask, is this State Government ready to put their hands in their pockets to bring us in line with the rest of the country. We have yet to hear from them on this. I doubt it. It is more likely there will be a continuation of cost shifting to local government (see next). As the Government promotes their intention to avoid you paying more than you need to for the services provided by your local government we must all ask what guarantees they are going to provide against cost shifting. 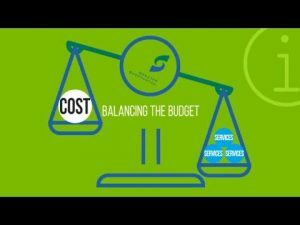 Cost shifting is a practice for governments of both persuasions have thrust upon local government. Many of our services are subject to a fee for service. An example of cost shifting is services such as Development Assessment. As I indicated in a recent post, rate payers subsidise these services and substantially. This will be even worse since the larger development projects are now being assessed by the State Commission Assessment Panel. Will the new government and future governments ensure we can truly get cost recovery for this service? I doubt it. I doubt it very much. One of the most significant cost shifting is (by default) the transfer of management of social housing to community housing providers. When the previous government did this they also legislated that these providers receive a mandatory 75% rate rebate on council rates. A reduction in their costs but a reduction in our revenue. The loss of this income has been transferred to you by way of rate increases above CPI. The current government has made no offer to reverse this. Not a huge impact on Unley but for some councils prohibitive. Of course, much of the medium density housing is expected to be social housing. Rate payers through their councils pay the State Governments solid waste levy. To fate, to the tune of $118m. Very little of this money has been used for the intended purpose which is to improve recycling. And catch this. The rate has increased 1450% since 2001. 9% this year. Compare that to the amount your council rates have increased. To date of course, there is no indication from the government that they will peg these astronomical increases or (better yet) remove the levy. Perhaps ESCOSA should be commissioned to set these rate increases rather than the government. No! What we have learnt from them is they believe we should be able to absorb the increased costs we are to be burdened by due to the recent China refusal to take that same underfinanced recycled material. As intimated above, if the government is serious about ensuring value for money for rates and taxes maybe they should be mandating that ESCOSA, as an independent body, be given the responsibility for capping such things as state government taxes, levies, fees and charges. Should ESCOSA have the power to fine councils for inadvertently breaching the cap, and to name and shame them publicly. Inadvertently. Fined. Shamed. How punitive is that. All in all then, unless there are arguments that sway my current paradigm, I struggle to see the Government’s proposed legislation as anything other than poor policy. If it is passed then we are going to be severely challenged in complying. A reminder. The special council meeting will be held in our Civic Centre, commencing at 7.00pm. Rate Capping passes the Lower House and awaits the Upper House. Rate Capping passes the Lower House and awaits now reaction of the Upper House. The Local Government Industry in the meantime, is assessing the Bill presented to Parliament by the Government. 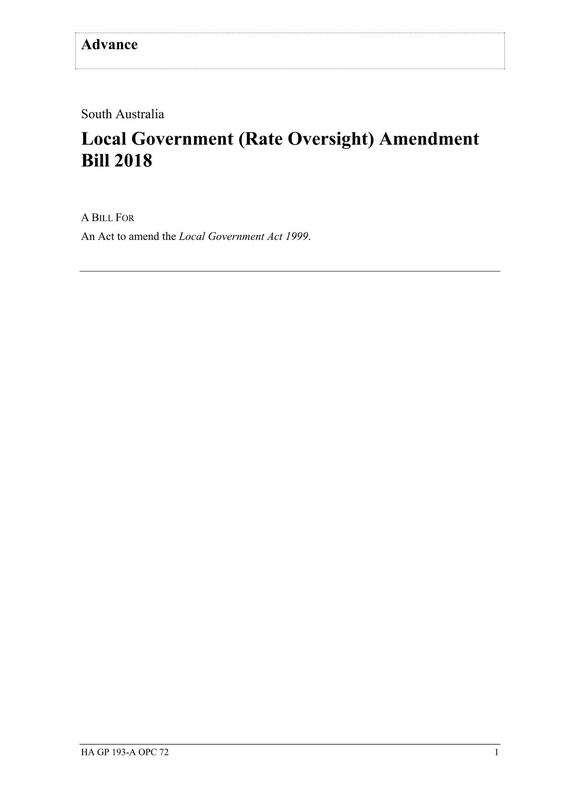 The Rate Oversight Bill which presents rate capping and which can be found here seeks to place authority in a (3rd) independent party for setting future rate increases in local government. The Government is doing this to restore faith, they tell us, in Local Government. That said polls suggest that Local Government is the most trusted of the three levels of Government. That said, is this good policy or not. Is it bad policy. While it has passed the lower house, where the Government has the numbers, its passage through the upper house does not look all that promising for those keen to have rate capping. Opposing the legislation are Mark Parnell (the Greens) and Frank Pangallo (SA Best). John Darley is leaning towards accepting but is unsure. The Labor Opposition are likewise yet to determine their position, even though it has passed the lower house. In both cases I suggest they are awaiting the response to the Bill from the Local Government Industry. Is it good policy or not. What is the view of the Local Government Industry and indeed your own local Council, the City of Unley? We will be considering this on Monday night at a special council meeting, convened to consider this very question. I invite you to come along and hear the debate. The venue for the meeting will be the Unley Civic Centre. It will commence at 7.00pm. The agenda will be available on line from Thursday here. There are a number of questions in my mind that concern me, particular given the evidence overseas and interstate when rate capping has been introduced. I will reveal these in a subsequent blog post. Watch this space. The City of Unley Community has been a shining example for all Local Government Communities. 117 of our citizens have contributed to our 2018/19 budget. 29 of those attended our public meetings. This follows the example set last year. 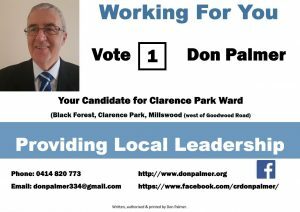 It is inspiring given in my 1st 3 years as a Councillor we had 1, 2 and then 4 people respectively attend our public meetings. You have answered my call to stay with us in this climate of rate capping. Rather than rely on the Government to rate cap us you have taken the responsibility to encourage us to include what you want. Last year your input impacted on the then proposed rate increase of 2.8%. You wanted more and to achieve it we lifted the increase by 0.2% to 3.0%. This was still inside the rate cap we work on which is CPI plus 1%. At our workshop on Monday night we had some tough decisions to make. Once again you wanted us to include more, and without suggesting cutting anything to accommodate the cost of the initiative you wanted. Most of you were looking for even more environmental initiatives than we have already included. That said some of you weren’t too aware of what initiatives we had included. Next year we will need to be a lot clearer in detailing this. A small handful of you wanted a reduction in rates and for us to focus on roads, rates and rubbish. 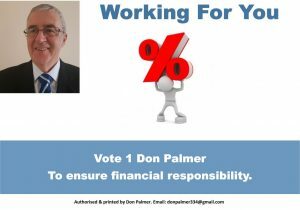 The budget will be finalised when Council meets formerly on the last Monday of this month. When we meet we will have to consider whether to include some of the extras being requested or not. If they are to be included we will need to consider whether to reduce our projected surplus, whether to reduce other services and/or to increase the rate. Wish us well please in our deliberations. LGA Rate Capping Stance Prompts Call for LGA to be Dumped. Everyone knows the State Government wish to impose rate capping on Local Government. We also know that the Local Government Association (LGA) has consistently opposed this. Now some elected members are nervous of retribution by the State Government because of the LGA campaign. Many are calling for the LGA to withdraw its campaign. Some for the sacking of the LGA. Others, including from within Unley, are calling for their Council to cancel their membership. Hang on guys. We do not yet know what the Government is proposing or what form rate capping will take. We do not even know whether it will be approved by Parliament. When we do know then we will be able to direct the LGA to lobby on our behalf. The question of LGA membership or the future of the LGA I addressed this morning in my LGA Lunatic Asylum blog post. The question of rate capping remains however whatever happens in the LGA arena. In my opinion, and from what I believe should be an Unley point of view, I still do not see a need for a State induced rate capping. I have written several blog posts covering this. Let us recognize that Unley DOES have rate capping . For the last six years we have set our rate first and adjusted our budget to suit. The cap we have set is CPI plus 1%. During this time our rates have increased 25% compared to an average 41% in the rest of the industry. .If other Councils were doing this then I venture to suggest the Government would not be threatening to impose an external cap. Would it not be great if most Councils followed Unley’s lead? We would not be having any arguments now. Not rate capping. Not cancelling membership of the LGA etc. New Initiatives form the basis of the rate increase proposed by the City of Unley for 2018/19. As I indicated in my blog post of 22 April, Council is seeking your feedback on this year’s draft annual business plan and budget. A budget of new initiatives at around CPI to achieve. Council’s budget reflects what I believe to be a more than appropriate approach. One that balances what I believe our community is seeking for us to add to our services with a rate increase that only all but matches CPI. As seen by the table below our proposed increase is only marginally above CPI. The increase focuses pretty much only on new initiatives. Savings made in the last few years has meant we have kept our operating budget (those ongoing regular activities) at almost the current year’s figures. The result is the rate increase we are proposing covers only new initiatives. In my blog post of 24 April, I highlighted the major initiatives, all of which are funded by loans. We have taken advantage of the low interest environment to fund works we had planned on doing later. These projects are shown in that blog post of 24 April. The new initiatives that are the basis of this year’s rate rise are listed below. Here’s are the questions for you. Are you keen to see these projects undertaken. If not which ones. If you are but you don’t like the cost impact on your personal budget which of our normal activities would you like to see removed or scaled down. Let us know by one of the many ways I indicated in my 22 April Blog Post.